Northeast Ohio Golf, an organization that provides golf news and tournament information for the greater Cleveland, Ohio; Canton, Ohio; Akron, Ohio; and Elyria, Ohio areas, is excited to add SYNLawn of Northeast Ohio to their list of corporate sponsors. Since this local distributor offers a wide range of artificial grass products that can be used to create indoor and outdoor putting turf, this partnership will undoubtedly be a successful one. Having SYNLawn of Northeast Ohio as a sponsor will allow Northeast Ohio Golf to better serve athletes throughout the region, while SYNLawn of Northeast Ohio will have the opportunity to advertise their synthetic golf greens to a wider audience. Though the turf technicians from SYNLawn of Northeast Ohio have already installed a number of custom putting greens for residential and commercial customers, they welcome the chance to assist those wanting to practice their short game in the off season. It’s worth noting that the artificial grass products available from SYNLawn of Northeast Ohio can be used for a variety of applications. Their projects include residential lawns, pet areas, playground surfaces, rooftop patios, and more. However, their line of synthetic golf greens has proved to be especially appealing to Northeast Ohio Golf. Since athletes throughout the Cleveland, Canton, and Akron areas have just a few months a year to enjoy their favorite courses, having a custom putting green in one’s home can provide additional practice time. 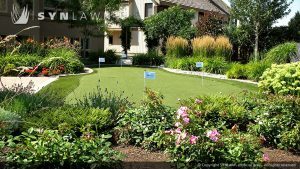 Unlike natural grass, the indoor and outdoor putting turf from SYNLawn remains lush and green all year-round. And since these artificial grass products are designed to mimic the look and feel of traditional putting greens, it’s an easy transition from playing on one surface to another. The synthetic golf greens from SYNLawn are designed and engineered by Dave Pelz and endorsed by Hall of Fame member Tom Watson. Having such experts involved in both manufacturing and testing has ensured that SYNLawn is able to provide customers with the highest quality products possible. Those who order a custom putting green from SYNLawn of Northeast Ohio can look forward to having the product built on site by the company’s skilled turf technicians. During the construction process, SYNLawn of Northeast Ohio’s team uses a durable base and soy-based under-layer to create contours and breaks that are specific to the customer’s installation. Once the turf technicians are finished, the customer can feel confident that the ball will react just as it would on a real green. Athletes throughout the Canton, Ohio; Akron, Ohio; and Cleveland, Ohio areas that regularly visit Northeast Ohio Golf’s website are encouraged to learn more about the new corporate sponsor by visiting www.synlawnneohio.com. 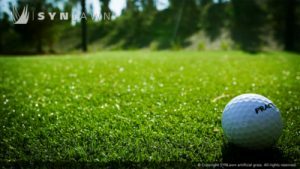 Additional information about the synthetic golf greens and other artificial grass products available from SYNLawn of Northeast Ohio can be conveniently found online. 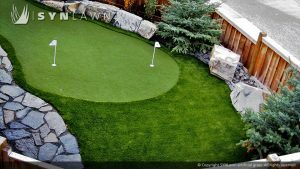 Those who are interested in installing an indoor or outdoor putting turf can also contact SYNLawn of Northeast Ohio directly at 330.492.8733. A member of their support staff would be happy to explain how their highly-trained turf technicians can add a custom putting green to one’s own home. This entry was posted in Home Improvement, Landscape/Nursery, Lawncare/Landscaping, Synthetic Grass and tagged artificial grass Cleveland Canton Akron Ohio, custom putting greens Cleveland Canton Akron Ohio, indoor putting turf Cleveland Canton Akron Ohio, outdoor putting turf Cleveland Canton Akron Ohio, SYNLawn of Northeast Ohio, synthetic golf greens Cleveland Canton Akron Ohio, turf technicians Cleveland Canton Akron Ohio by admin. Bookmark the permalink.